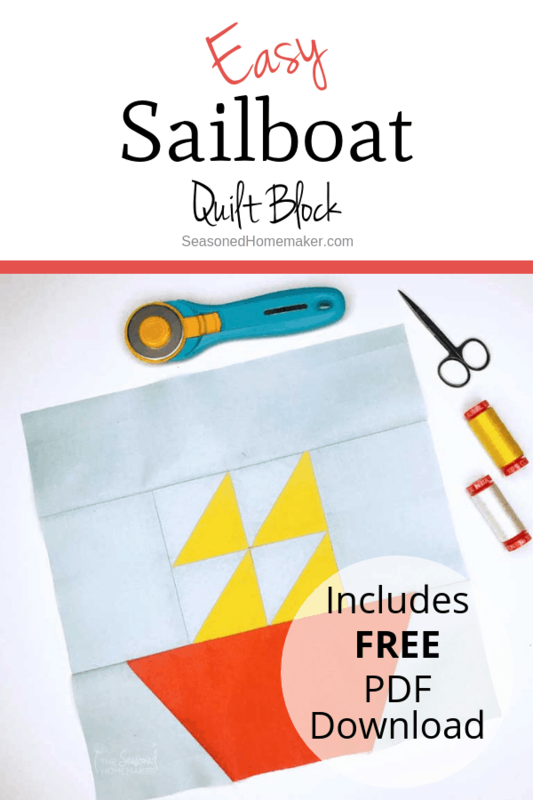 The Sailboat Quilt Block is such a fun block! 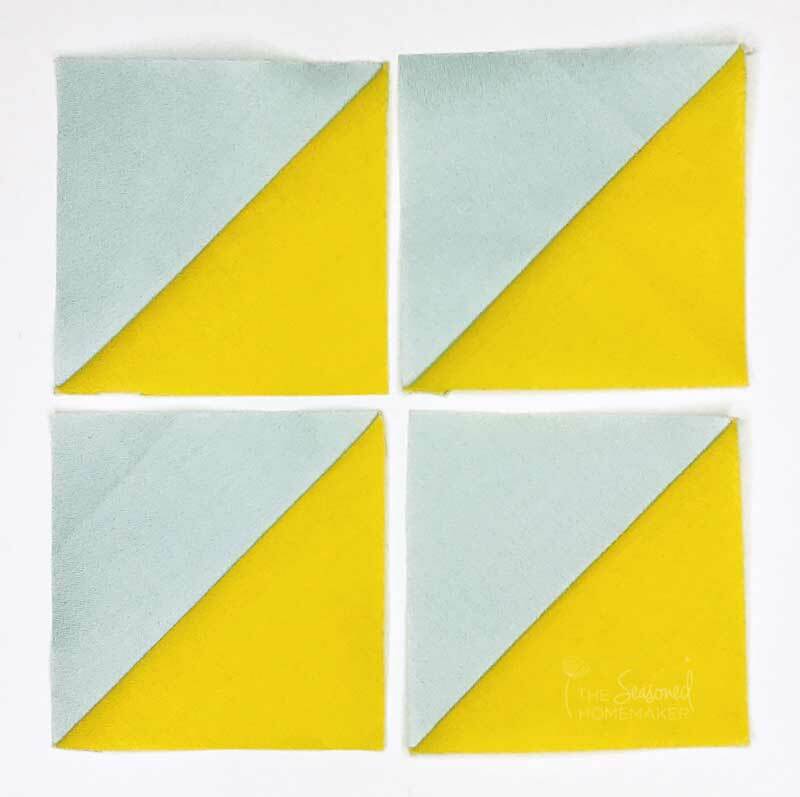 This quilt block pattern goes together easily with some simple shapes (made with a multipurpose ruler) and our fun HST (Half Square Triangles). 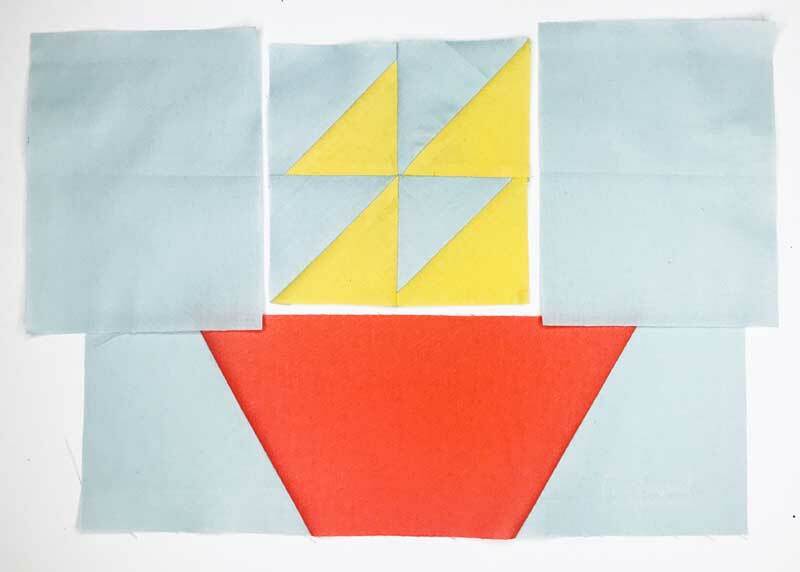 A very long time ago, it is said that the Sailboat Quilt Block was made to signal the presence of nearby waters or boats. There are several variations of this block. 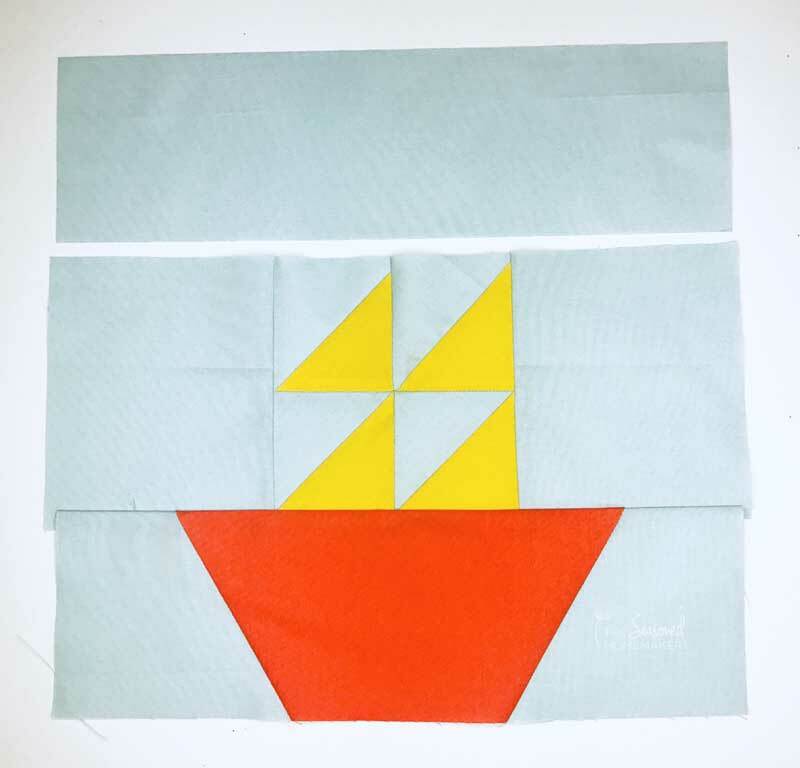 There are single sail blocks and blocks that are made using techniques other than simple piercing (like appliqué or foundation paper piecing). This quilt block tutorial is super easy and looks really great! 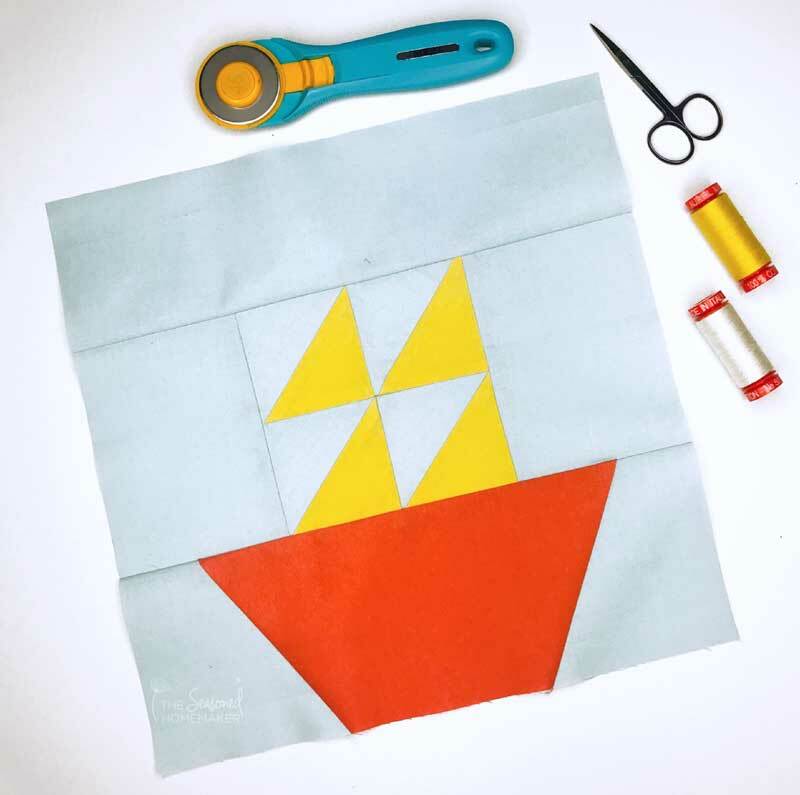 There are many ways to make a Sailboat Quilt Block. 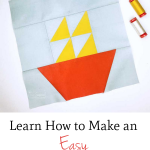 Let me show you how to make this quilt block. These instructions are available in a FREE downloadable PDF. Please follow the directions in the box below and the PDF will be sent directly to your inbox. Note: Current Subscribers can re-enter their email but won’t be double subscribed. 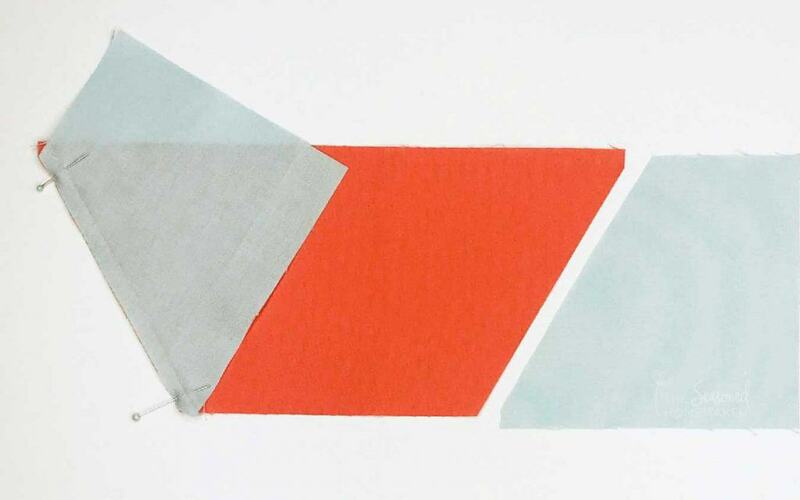 Step One: Using the Half Hexagon Template, cut (1) Blue and (1) Coral. Cut the Blue fabric in half and sew the halves to each side of the coral piece. 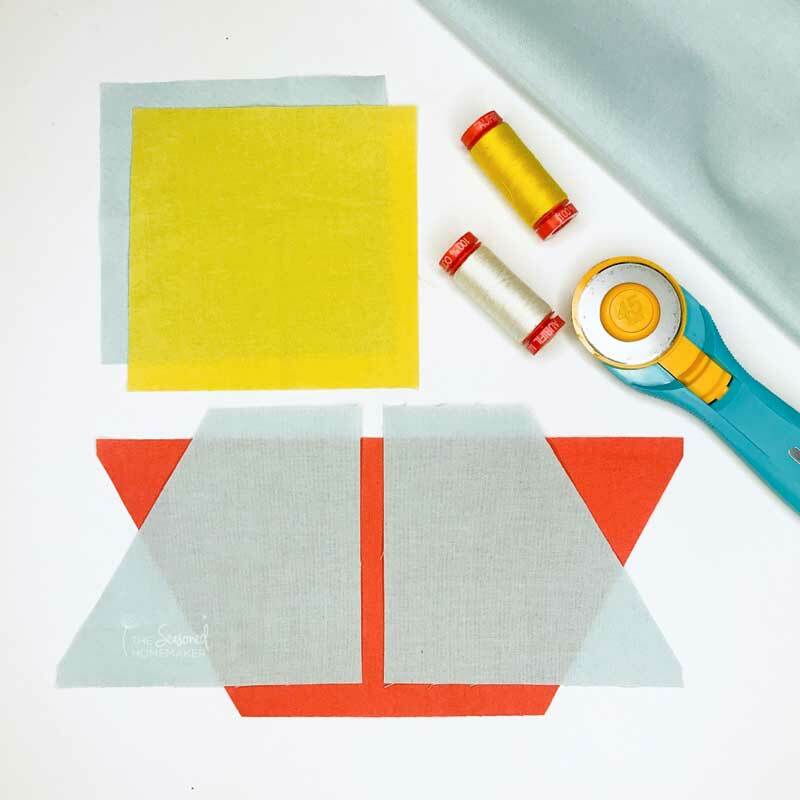 Step Two: Using the diagram below, place the 5″ yellow square and 5″ blue square together. Stitch a 1/4″ seam allowance all around the outside edge. Line up the ruler from corner to corner, making sure the edge of the ruler is on the block’s points. With a rotary cutter, cut diagonally in both directions. Press to one side. You should now have four half square triangles to create the sails. Stitch the four HSTs together to form one piece. Stitch the top row first, then the second row, then join the two rows. Make sure all of your sails are facing the same direction! 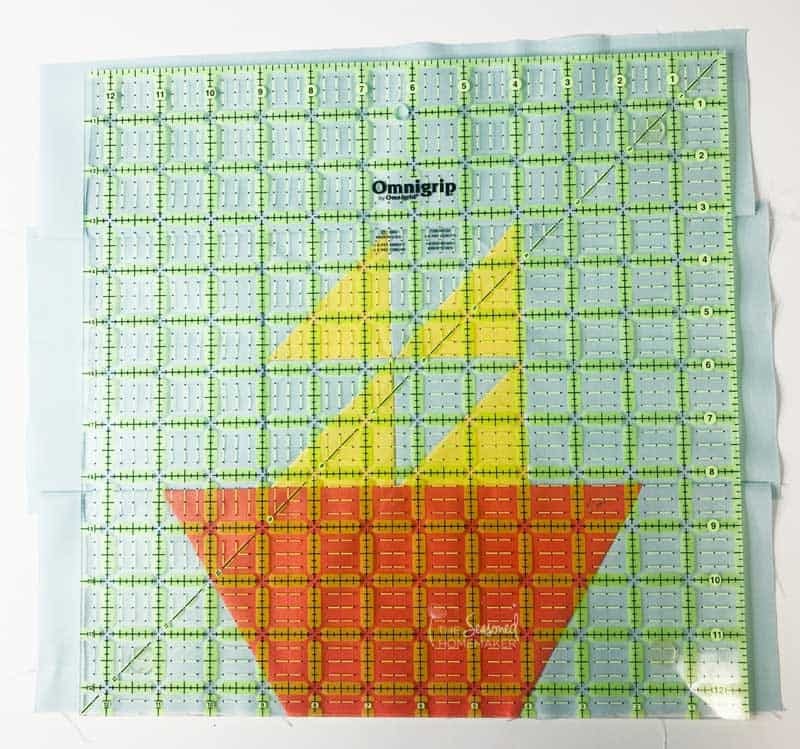 Step Three: Add the (2) 6.5″ x 5″ pieces to each side of the sail unit. This will be a little oversized in order to allow for trimming. Press to one side. Trim to fit so it’s centered above the boat. The best way to do this to fold the boat in half and pin at the center mark. Then line up the center seam of the sail with the pin. Pin right sides together and stitch using a 1/4″ seam allowance. Press to one side. Step Four: Continuing to use a quarter inch seam allowance, add the 4″ x 14″ piece along the top of the assembled block. Press to one side. Step 5: Trim the block to 12.5″ x 12.5″. 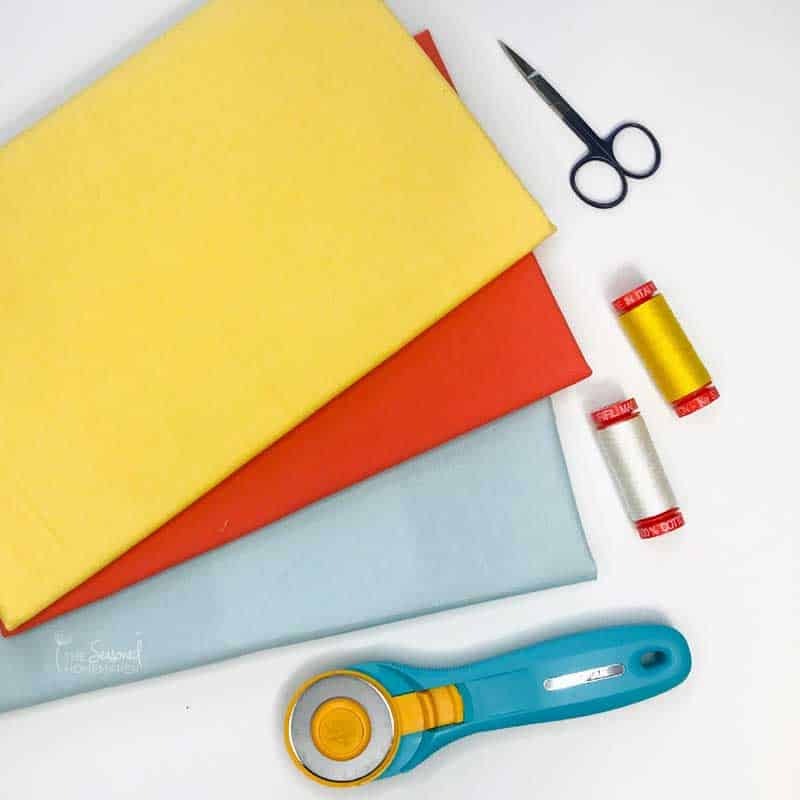 Pro Tip: Use a 12 1/2″ Square Quilting Ruler to get perfectly trimmed blocks every time! Use the grids on the ruler to line up the bottom of the boat, seams allowances, and the center point. Isn’t that easy. 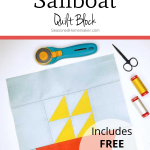 Now you have a 12 1/2″ Sailboat Quilt Block! Don’t you just love this block? This ruler is very useful! Not just for the Sailboat Quilt Block, the half hexagon ruler can also be used for a Hexagon Quilt and also a Christmas Tree Table Runner! The options for this simple quilt blocks are fun to imagine! This design is perfect for a baby boy’s quilt or even a fun summer table runner or pillow cover! 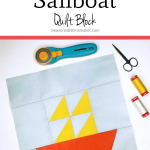 The Sailboat Quilt Block is a really fun and simple quilt block. 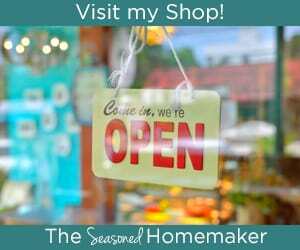 I hope you make lots and lots of them! I have the half hexi ruler. How smart to cut it in half for the sides. Cute sailboat! And there are tons of other projects you can create with this ruler.